Peacemaker is the name of Albert Beger's new creation. It is also a way of life for the experienced, innovative, free-jazz cult hero. The new album is an open invitation, a possibility for an individual to take a deep, thorough look inside and have a self examination. It is an opportunity to restart, and make the little amendments in the world, using the big values of men. Beger, is conceived as one of the most respected and important musicians in Israel. A true pioneer and full with passion, Beger leads an entire generation of young musicians who see him as a musical and moral mentor. The ideals which Beger believes in, in the fields of ecology, society, community and politics, are the DNA of his creation that was documented in eight albums so far. In his previous album, Big Mother, Beger dealt with ecology, a field he constantly practices in. But in Peacemaker, a concept album, Beger handles an introspective observation on the individual and asks to reform and educate the self, to make a bigger change. Throughout his career, Albert never stopped searching and flipping the big rocks that encountered his way. 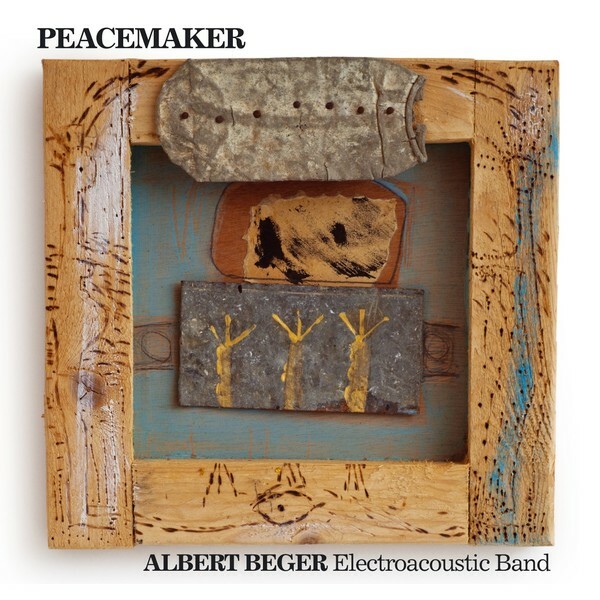 From his continues search, Albert found Peacemaker – a brave, innovative, profound, fresh and overall exciting statement of a hungry musicians who craves for creation for the last 15 years he has been working as a recording artist. The Albert Beger Electroacoustic Band : Dan Benedikt (Drums & Percussions), Avi Elbaz (Laptop and Electronics), Assaf Hakimi (Bass), Ido Bukelman (Electric and Acoustic Guitars) and Albert Beger (Tenor and Soprano Sax).